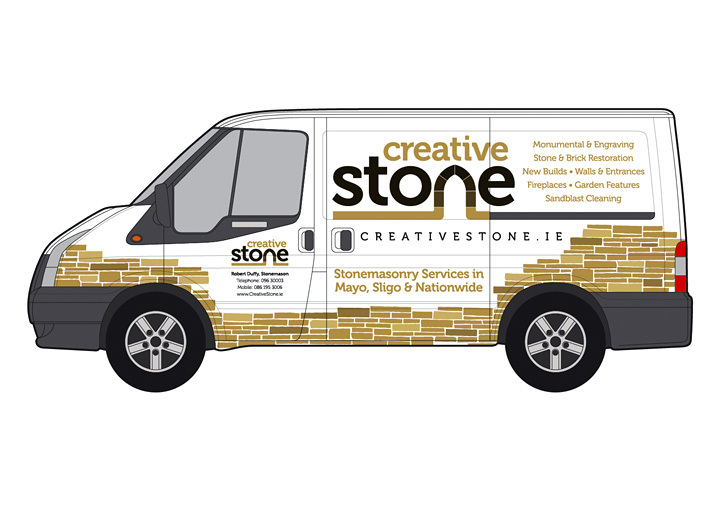 Creative Stone logo refresh design in Enniscrone, County Sligo created by the Zetagram graphic design service. 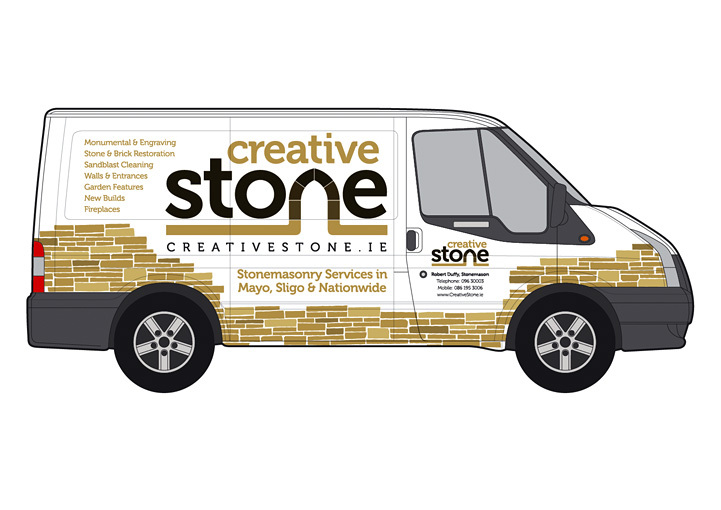 Creative Stone van wrap design in Enniscrone, County Sligo created by the Zetagram vehicle graphics design service. 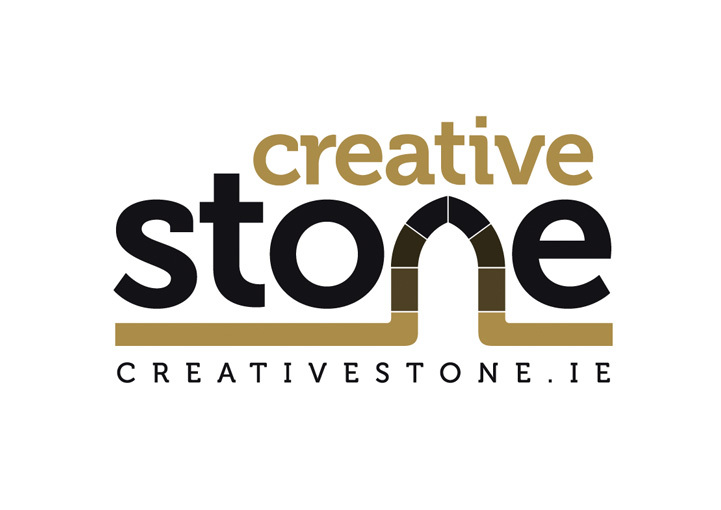 Creative Stone was a small established stonemasonry and restoration service business based in Enniscrone, County Sligo. They provided decorative and monumental stone construction of walls, fireplaces and garden features throughout Mayo, Sligo and nation-wide. 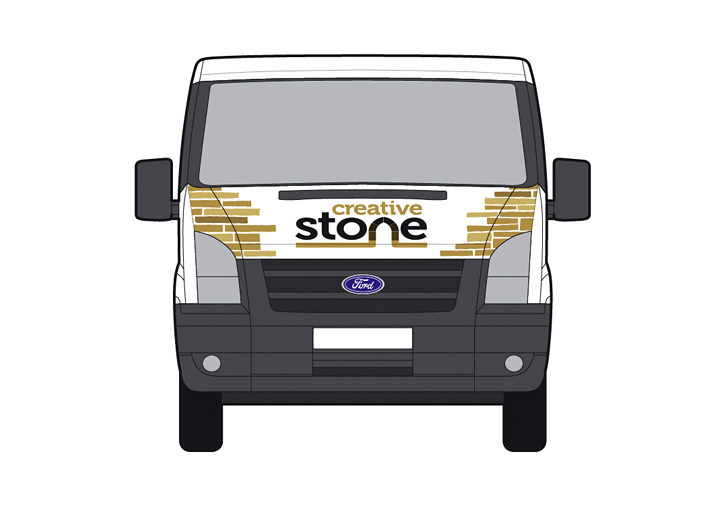 The initial brief to Zetagram* by the client was to create a distinctive part-wrap van design to advertise and promote the business on the road and on-site. The client had an existing logo which Zetagram updated and refreshed with new fonts and colours while still retaining the original concept. This new refreshed logo design was then applied to the van design and integrated into the rail of the sliding door. 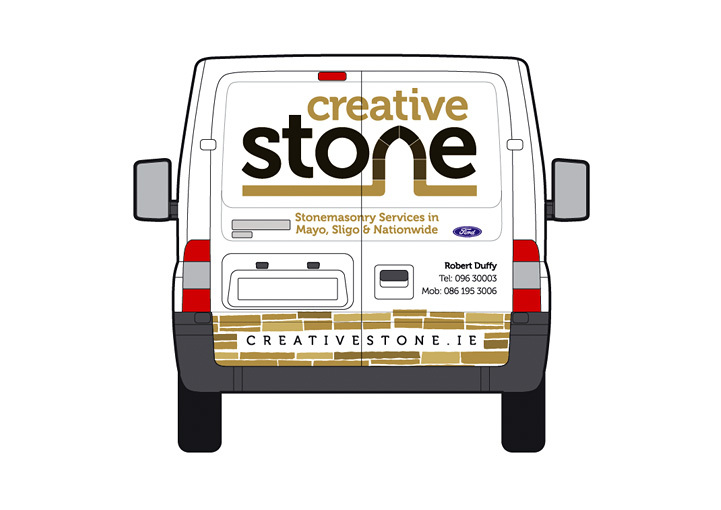 Services information and contact information was prominently presented on the vehicle and the lower panels of the van were decorated with a custom stone pattern design created by Zetagram.